Loyalty is important to Matt Oakley. 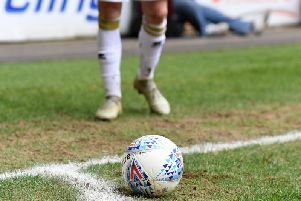 His 22-year career saw him rack up more than 600 appearances for just four clubs, and now he's moving from Exeter City to MK Dons for a man he has known for most of his life. Paul Tisdale's appointment as the new Dons boss last week also saw the arrival of Oakley, as his assistant, and Mel Gwinnett as first team coach - both following the manager from St James Park. Oakley met Tisdale when the pair were players at Southampton. The pair kept in touch when Tisdale left the Saints, and eventually tempted him to play for Exeter - then in League 1 - when Oakley's Leicester City contract expired in 2012. He made more than 150 appearances for the Grecians in a five year spell at the club, before moving into Tisdale's backroom staff last season. Having worked directly with the new Dons boss for six years, Oakley believes he is the real deal, but admitted, just as the manager did last week in his unveiling press conference, Tisdale needed a confidence boost before accepting Pete Winkelman's job offer. He said: "We were all down after the playoff final, especially it being the second in a row. I went to my mum’s to get away for a few days but literally spent the whole time on the phone. I had a call from Paul to tell me of the interest. There were other clubs interested too, which is great for us, but for me, it had to assess where we were – what we could do with Exeter if we stayed; where MK Dons are as a club. Then it was my job to feed the information to Paul. I went away, looked at the squad, results, fact – that’s all I can look at really. I told him what I felt, and gave him the confidence to help him make that step to leave a job he’d known for 12 years. "Paul has had a lot of offers over the years, he has turned a lot of jobs down. I think he wanted to keep learning as a coach and manager, and the time wasn’t always right – maybe he didn’t have the right team around him but this was the first time he was confident to make the step. After the first conversation, when he told me the club were interested in him, it was exciting for me. "I’ve been at some big clubs and I could see where the club could potentially get to, and I know how good Paul is. I’ve been through 22 managers in my 22 year career, so it was one a year pretty much. I’ve had a lot of contact with managers, both good and bad, but Paul is one of the best I’ve worked with. "He sees things on all levels while some only concentrate on certain elements. He’s very intelligent; he works with what he has in the squad. He had a reputation of attractive football. We were struggling with home form at Exeter, so we addressed that, played slightly differently at home, he had the foresight to do that and we got to the playoff final. And we did it after losing two of our best players, the best part of 40 goals. He knows what he has, where he wants to go. I just gave him the confidence that he could do it." After giving him a nudge in the right direction to get him towards signing for Dons, Oakley believes now is the time for Tisdale to prove just how good a manager he really is. "I’ve known Paul for 25 years," he said. "When there was the opportunity for him to sign me, it was quite a big drop to go from Leicester to Exeter but he has a very good way of selling things, he told me by involvement in working with young players. "I never saw myself on the coaching staff, but he taught me very slowly, dropped little bits in as my responsibilities and that has allowed me to be in the role I am now. He built Exeter as a club they are now, build a structure around him and put people in the right places. You can only get that from continuity and loyalty. That’s why it was so hard for him to leave, but for me it was the right time because he has the right team around him to move and it’s up to him now to show how good he is."